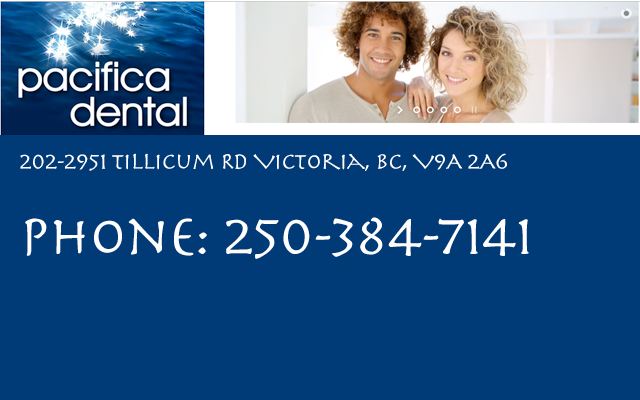 Pacifica dental Victoria BC Team commitment to allpatients is to help to maintain, and restore their teeth to optimum health. Our primary goal is to provide all our services in a warm welcoming and caring environment. We treat our patients with friendliness and respect and strive to ensure that their visit will be pleasant and positive. We know that many people come to the dental clinic with fear and anxiety. We often use an oral sedative to ensure that your experience is comfortable and positive. We are a high tech office. Our high tech equipment includes, a CEREC machine to make crowns in the office, making it possible for the patient to have the procedure done in a single appointment. We have the highest standard of sterilizing equipment to ensure proper cleaning of all our instruments. We have a wide variety of diagnostic equipment to ensure our patients get an accurate diagnosis so we can provide them with the best treatment plan.